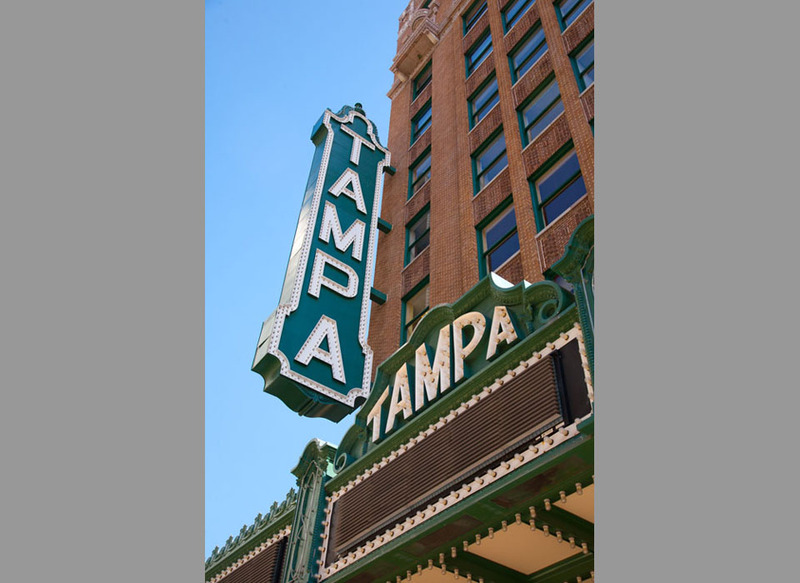 The marquee at Tampa Theatre was replaced just over ten years ago, with a lighting ceremony taking place on January 16, 2004. Beautiful. Nothing says “Tampa” like a sign that reads “Tampa.” At what better way to say it than vertically (a.k.a. “blade sign”) and horizontally?